There are times when I have questioned what I am doing with my life. There are times when I have doubted myself. I have even questioned my sanity at times. Are these visions I get real? Is what I feel in my heart even possible? Or are these ideas just a fantasy? Is it really possible to create the life of my dreams? I have had many moments of questioning on the path of living a life led by my inner guidance. I committed to living a life led by my inner guidance systems (A.K.A intuition, higher self, Soul) for the last 15 years. The Law of Attraction principles came into my life 20 years ago and immediately spoke to my heart and resonated as truth for me. I then took the principles of The Law of Attraction and started playing with them like a child with new toys. I thought to myself “let’s put these ideas to the test”. My first focused attempt at manifesting was when I wanted to go to India to do 6 weeks of Panchakarma, an Ayurvedic detox programme. At this time in my life I had very little money and was paid minimum wage working in a health food shop. I was also working part-time as a healer, back in the days when I charged £20 (approx. $30) an hour. I really had no idea how I was going to get the money together, but I was clear that I was supposed to do this detox. I had suffered with Candida, food intolerances and major digestion issues for many years. I was in a lot of discomfort physically and felt terrible in my body. I knew that Ayurveda was the right path for my healing journey. I needed a very specific amount of money to go to India. I needed money for the flight, the 6 weeks of Panchakarma and accommodation. I can’t remember what that exact cost was but it was a lot more money than I had. Then, an amazing thing happened. Out of nowhere, my boss offered me a bonus. With that and some extra money from my practice, I had manifested the EXACT amount of money I needed. I remember so vividly the feeling of complete joy and happiness experiencing this miracle; my first experience with manifestation felt truly magical. After that, I was hooked on Manifestation and the Law of Attraction. From the age of 18 I had a vision of my big Purpose and I was determined for this vision to become a reality. I LOVE manifestation work. It’s so fun and creative for me and I’ve been committed to my regular manifestation practice for many years. I’ve always known, at the core of my being, that the manifestation principles are real, but the journey didn’t end up looking like I’d imagined. Not even close. I noticed that I was able to manifest some things relatively quickly and easily. Other things, that were really important to me, never seemed to change. It felt like banging my head against a wall; it was very painful for me. So, I was inspired to investigate even further. Why do some things manifest into my life and others do not? It turns out I’m a bit of a determined detective when it comes to manifestation! This is when I discovered the difference between manifesting from the Ego, manifesting from the desires of the mind and manifesting in alignment with the higher self. When you try and manifest something that is not aligned with your life and your purpose, it won’t work. You will experience frustration and disappointment. Your mind and ego can tell you all sorts of stories about what your life should look like and what you deserve, but these idea will not be aligned with the deepest truth of your heart and Soul. It is possible to manifest from the desires of the mind and the ego, if you are determined enough. But the things you create will not bring you ultimate fulfilment. You will find yourself almost flat, feeling very little and will very quickly desire something else. Something more, something bigger, something better. I call this type of manifesting “feeding the hungry ghost”. Your determination can eventually create what you desire, but you won’t be fulfilled. Manifesting from the Ego will also create duality. You may have improvements in some area of your life, but can end up creating something equally ‘bad’ in other areas of your life. For example, you can create lots of money but have complete failure in the area of Love and intimate relationships. It is essential to get to the root of what you truly desire and create from there. The most important aspect of manifestation is to make sure you focus on creating that which is aligned with your higher self, with your heart, with your Soul. When you create from this part of yourself, you’ll have greater success with your manifestations and will experience greater peace, joy, fulfilment and abundance. When you create your life aligned with your Higher Self, you will create a life of true abundance that not only benefits your life, but also the lives of others. When aligned with your higher self, you will create in harmony with the earth, with humanity and with yourself. So before you start manifesting anything, go within and ask yourself: “is this aligned with my higher self?” If it is, then listen deeply to your inner wisdom and take action steps aligned with this guidance. If your ego is leading your manifestations, ask yourself, “what do I TRULY desire here? What unmet need is calling for my attention?” Do your inner work, heal your ego wounds, align with your higher self and get manifesting. Manifesting in alignment with your higher self is what you came here to do, on the level of your heart and soul. This is your true purpose here upon this earth. 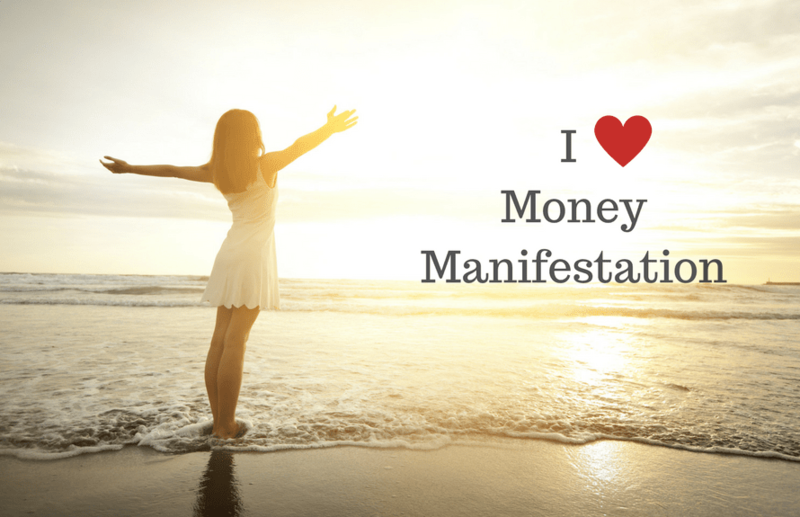 If you’d like to find out more about this topic, you can order a copy of my book “Money Manifestation Mastery” here.